Baseball is the best sport in the world because it is every day, it means summertime and sunshine, sitting in the stands with friends and loved ones. Baseball is the best because there is no time clock to end the game. Baseball is getting in the park, and seeing that beautiful field, and watching the stands fill up. Baseball is watching the starting pitcher warm up, and you ask “How in the world could anyone hit that ball?” Baseball is a bratwurst with grilled onions washed down with a beer and peanuts. Baseball is sitting in the stands, and talking to new friends sitting beside you. Baseball is the home team running out onto the field with the fans cheering. Baseball is the crack of the catcher’s mitt. Baseball is “voicing your opinion” to the visiting team. Baseball is standing and giving a “high five” to your buddy when your team hits a home run. Baseball is truly the National Pastime, and means so much to so many. There is truly nothing like being at the ball park. The MoneyStats concept started with just a pencil and paper and a calculator and has evolved into what you see today. Friends and family have joined with me in creating this site. I applaud their faith in me. Props to Otlay Interactive, Chicago IL. These gentlemen have made this website happen. MoneyStats wants to provide you with information that will help you make informed decisions on your fantasy team, and just as important, to have fun along the way. We know that fans are always looking for new ways to look “inside the numbers” and MoneyStats has just that. As we move into the 2018 season, we like to have new data every year. We are proud to display our new Hitters Splits. We are breaking it down "per game" and "per at bat"
The new "Hitters Splits" Player Rater is now available. New, exclusive information to the fantasy baseball world. Are you a Player Rater? Compare all players using the Splits data. This year alone we have developed an original, starting pitcher game log using a "runs received" number to better help you with your starting pitcher decisions. We have created a blog section, and developed a MoneyStats Value player rating system. We will constantly strive to develop original ideas to help you create and develop the best fantasy baseball team throughout the season. Quite simply, we want to help you win your fantasy league. Our team knows the time involved in planning and forming a team for your fantasy league. We have done all the work for you. MoneyStats is set up on a database system which allows us to present the data many ways. This allows you to gather our data and put it to good use. 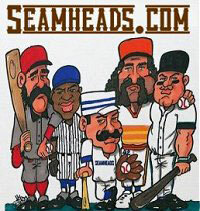 Our website will have a full time administrator to keep our site current and up to date, so you know everything that is happening in the great game of baseball. We already have new ways to present our information for 2013 that we just didn't have time to get on the site this year. Career MoneyStats and Combined MoneyStats will be available in the future. We will not stop in trying to formulate new ways to present our information to help you win your league. One thing for sure, we need all the insight and ideas you have, and we welcome that. With you help, comments and suggestions, we can make this the premier site for fantasy league baseball. Our goal at MoneyStats is to become a world class website. We hope you will join us!